Cumie Cupcakes is a full-time home based business and offers a variety of flavors, designs and presentations of cupcakes, cakes, tartlets and cookies. They're all freshly baked for your orders. Cumie Cupcakes is always available to offer you a very delightful & delectables homemade cupcakes and such. .Birthday Cake with Edible Image. welcome to my sweet blog! DO MENTION your name each time you sms / call /email ya! .Wedding Cake & Cupcakes Tower. 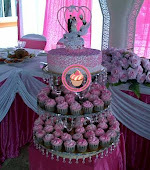 .3 tier wedding cake & cupcakes. .2 tier stacked wedding cake. .2 tier wedding cake & cupcakes. Snowy Cotton Cheese with Fruits!